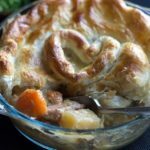 This recipe for Chicken, Ham & Leek Pot Pie cooks in the slow cooker and goes in the oven at the end. 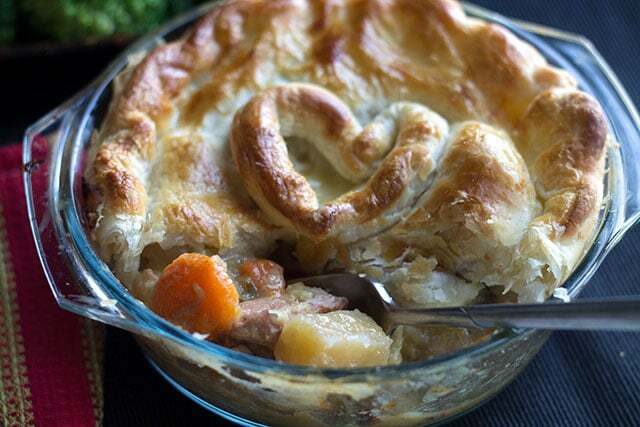 It turns pot pie into an amazing week night dinner! 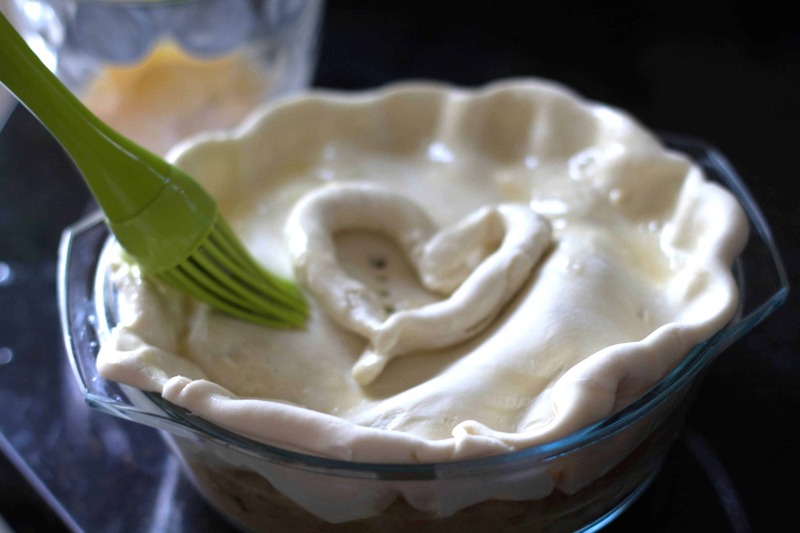 When I first moved to England, the word pie really confused me. People talked about pie and they never meant sweet pies. 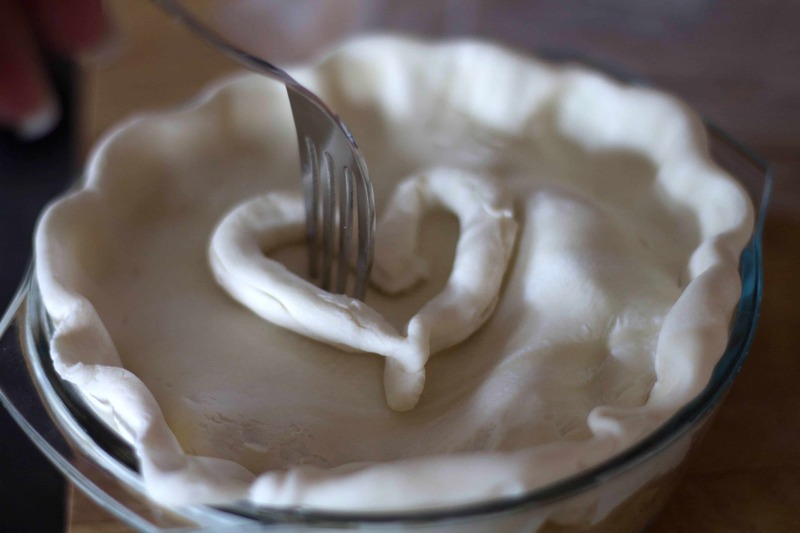 It was always a pork pie, or ham and leek or steak & mushroom and I quickly realized that pie in this country is not only different, but it’s AMAZING! I make a baked casserole that’s very English called a hot pot. It’s pretty much this dish, but instead of being topped with puff pastry, it’s topped with sliced potatoes. Sound good? Don’t worry, I’m on a diet now so you’ll get plenty of that sort of thing, but this was one of my last hurrah recipes of comfort food that I had to have before starting my diet. 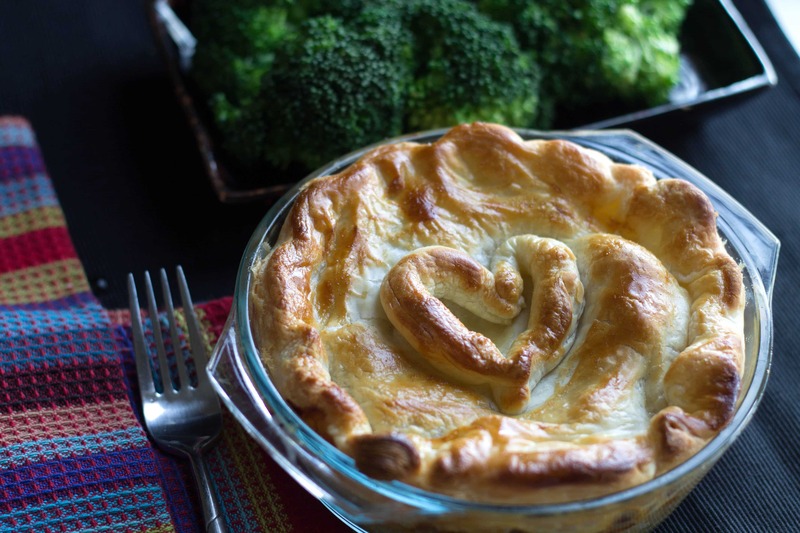 So, I give you comfort food at it’s finest – who doesn’t love pot pie in the cooler months? 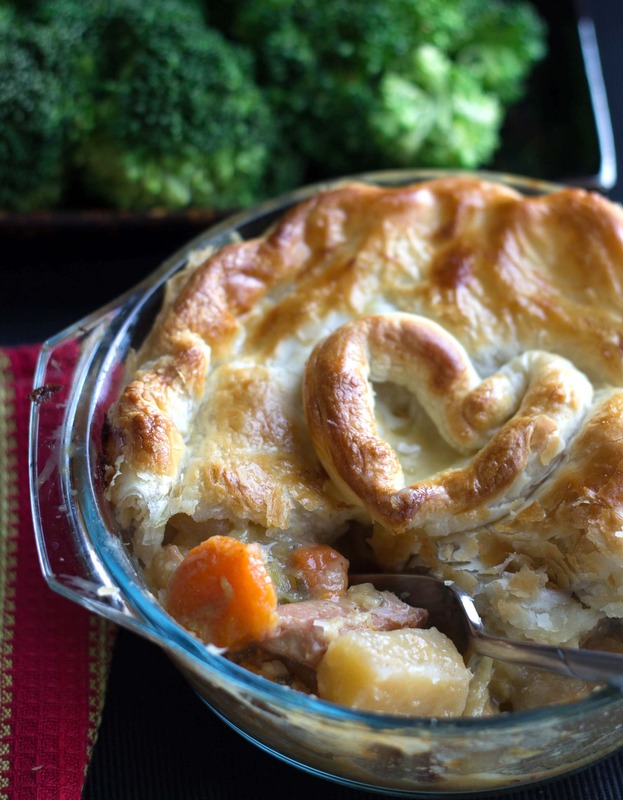 This one is made in the slow cooker and doesn’t go in the oven until the end so you can throw it on before you go to work and come home to homemade pot pie! They get browned in a frying pan in a little oil and then coated in flour. 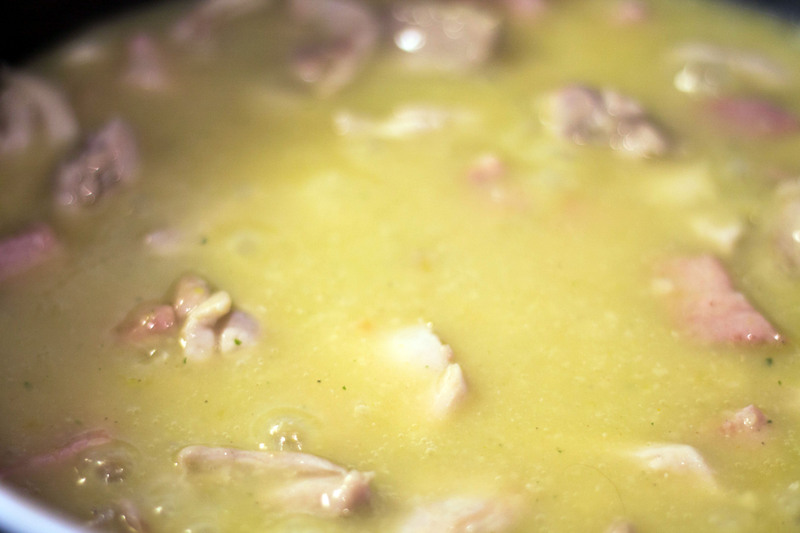 Add stock, bring to a boil, thicken and pour the whole thing into the slow cooker. Then go the vegetables. This can be made with just leeks. I’ve done it before and it’s amazing, but I know people like carrots and potatoes in their pot pies so I threw them in too. 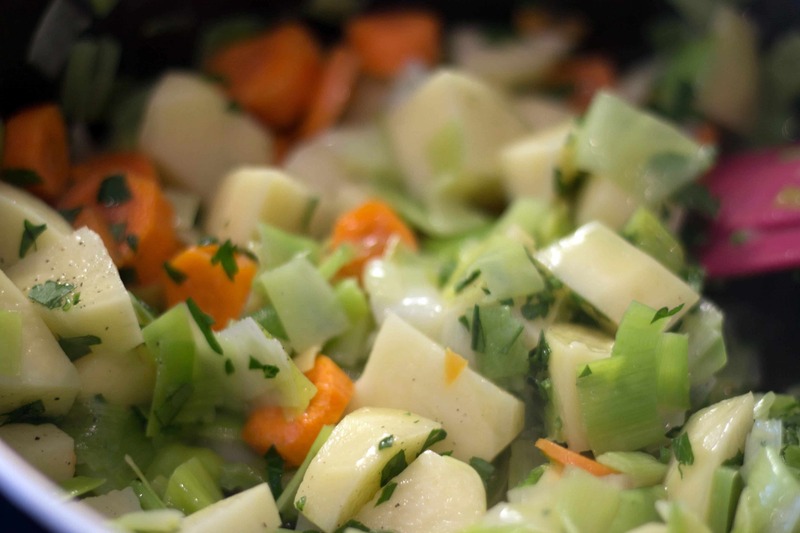 The leeks, onion and carrot get sauteed, seasoned with salt and pepper and then I add parsley and the potatoes before adding it all to the slow cooker with the sauce and meat. 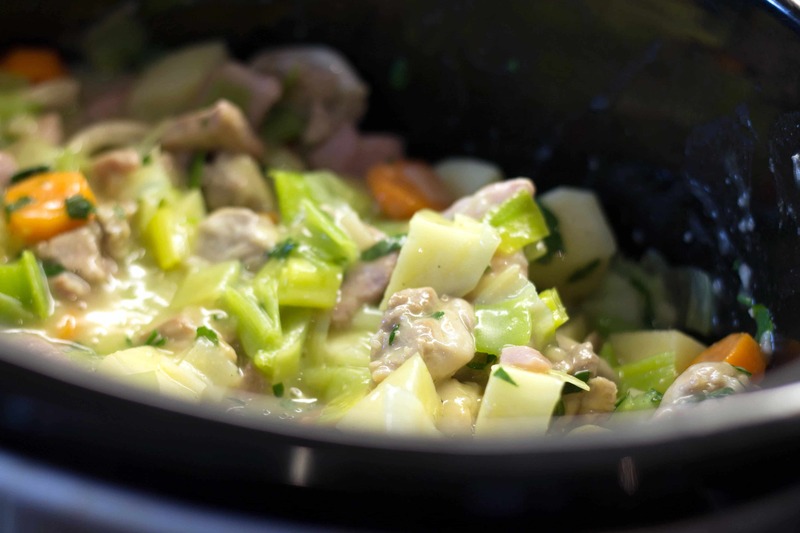 Cook it on the lowest setting for 3 – 6 hours (not all slow cookers are created equal). When you’re ready, separate the mixture into personal sized casserole dishes (or one big one), top with puff pastry, and crimp the edges. I added a little decoration with the spare pastry, but that’s optional. Prick the pastry with a fork. And enjoy – just be careful – it’s hot! Heat 2 tablespoons of the oil in a large frying pan. Add the chicken and ham and brown the meat. 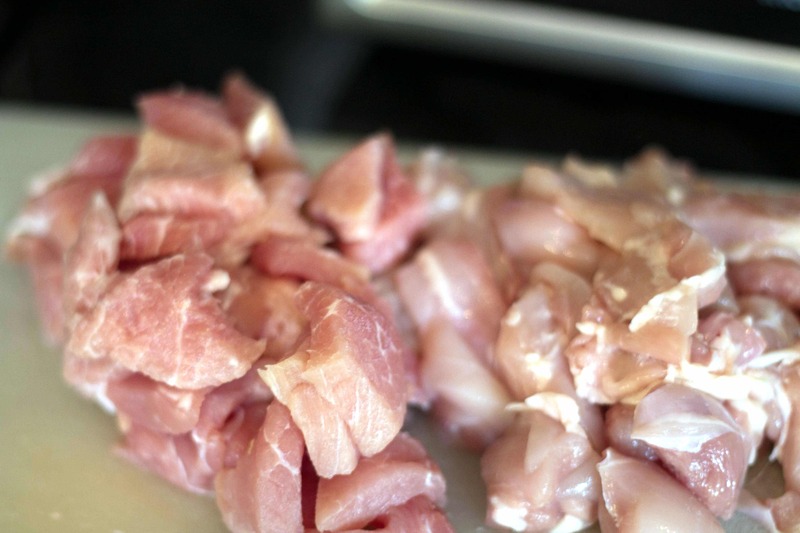 Sprinkle the flour over the browned meat and stir to coat. Add the stock, bring to a boil to thicken and add the mixture to the slow cooker. add the remaining oil to a separate pan over medium heat. Stir in the leeks & onion and fry gently for two minutes, stirring occasionally until just softened. Add the carrots and cook for a further minute. Add the chopped parsley and potatoes. Season the mixture, to taste, with salt and black pepper. Pour into a the slow cooker with the sauce mixture. Cook on low for 3 - 6 hours. 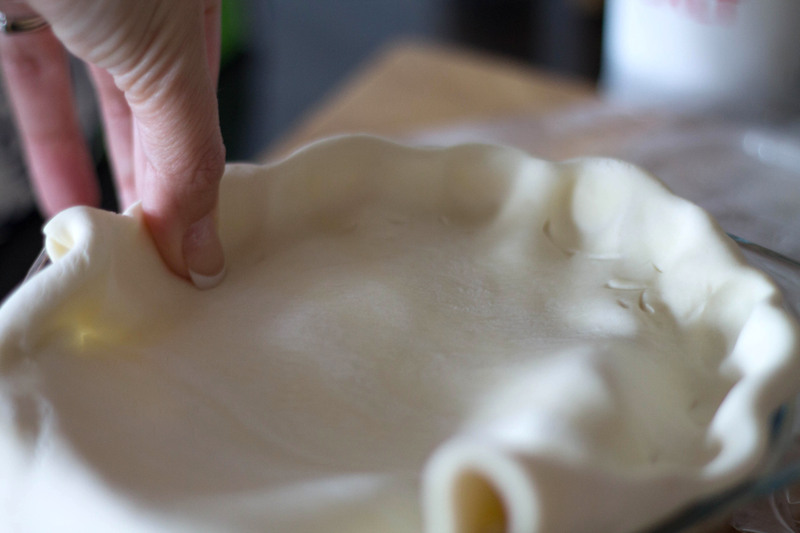 Cover each with pastry, crimp the sides, prick the center with a fork and brush with the egg wash. Allow to cool slightly before serving (about 5 minutes). « Quick Rise Cinnamon Rolls – You’ll Never Wait Again! I cooked this tonight and it was fabulous. I knew I wanted to cook a ham, chicken and leek pie and your page gave ,e confidence i was taking the right steps. Truly delicious. Thanks. So great to hear, Rob! I have never cooked with leeks before, but I do enjoy Chicken Pot Pie. This far surpassed my expectations. 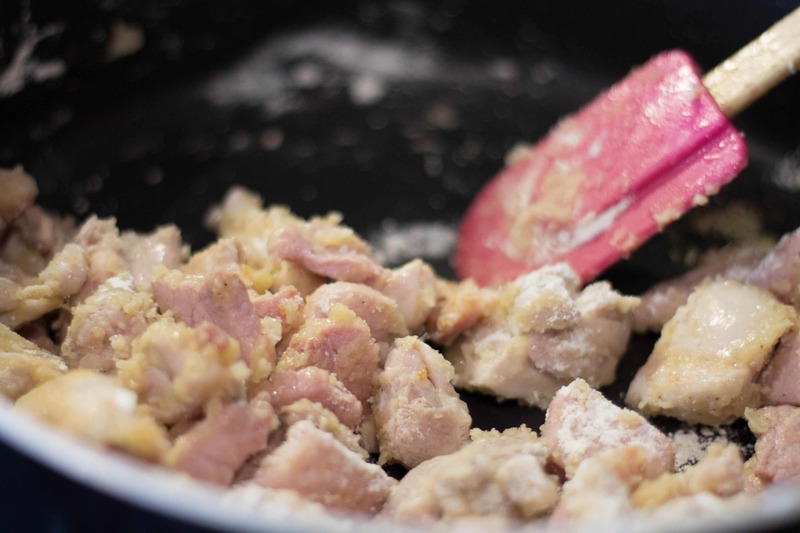 Every ingredient melded together for a complex gravy that was delicious, the chicken and ham complemented each other, and overall, made a very satisfying meal. Hi Pat, I’m so glad! Thank you so much for letting me know! This is so wonderful. I love using leeks in recipes. They add so much flavor.